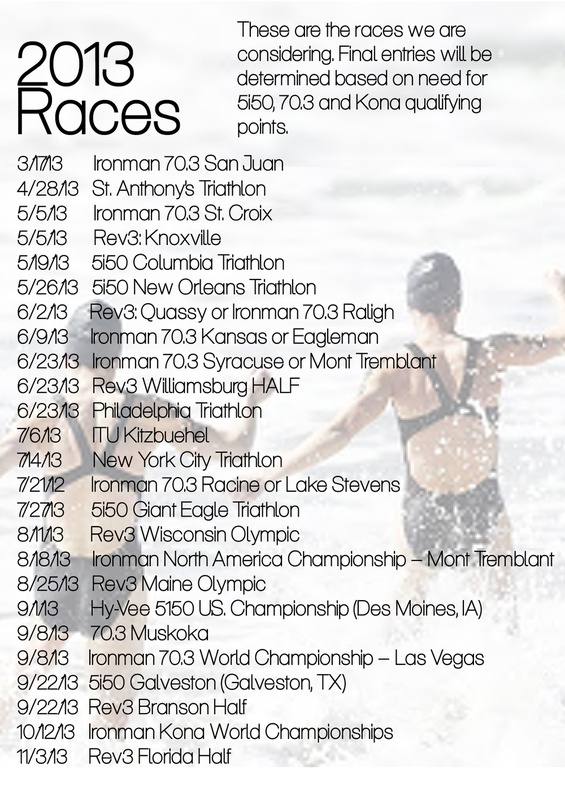 Here's a look at the races we will be attending this year. We plan divide and conquer, mixing up the distances and races series. We may not both make it to all of these races, but there's a good chance one of us will. Laurel will be kicking things off with the San Juan 70.3 on March 17. Bec will be focusing on building strength and fitness during February, March and April and plans to start racing in May.